Just as I feared, some people have wasted 300k credits creating a team and then accidentally leaving their team in order to play as a Mercenary in Team Battles. Please note, that subsequent team creation costs 300 doubloons instead of 300k credits! Once you've created a team, you can start to assemble players. But, oh no! You don't have anyone joining your team. So you can either join someone else's team or play as a Mercenary. 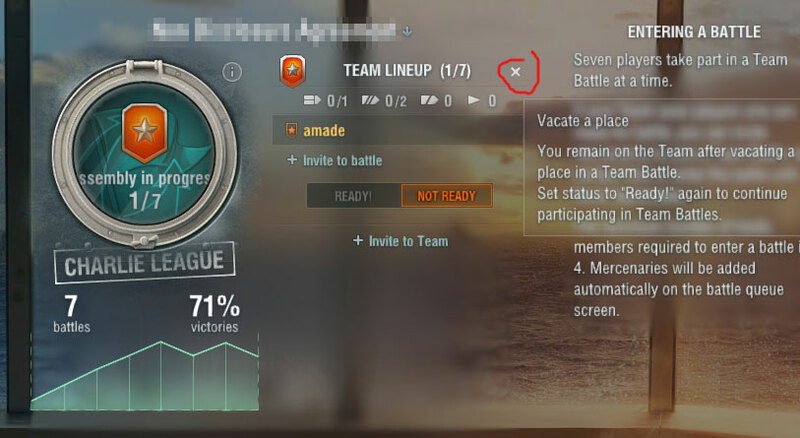 But the Battle button won't let you join the queue while your team is being assembled. So what should you do? Well, you SHOULD NOT LEAVE YOUR TEAM. 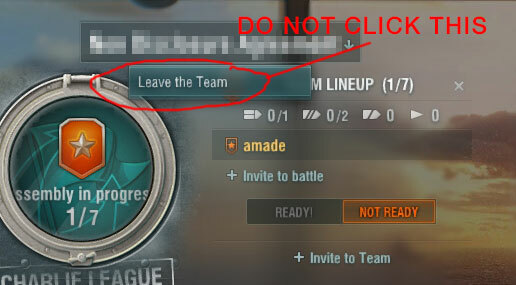 Clicking on Leave the Team means you will no longer be a permanent member of the team. Unless there's someone else in the team to invite you back in, it will be impossible to recover the team. Only click on it if you're absolutely sure you do not want to be in the team any more! So instead, you should vacate your spot in the Team Lineup. Click on the X, you will then be able to play as a Mercenary and still be a member of your Team.